Every change has an impact. See price disparities, demand analytics, campaign performance and test results in real time so you can fine-tune every step of your booking process. Controlling the price of your rooms is a vital part of growing your direct channel. 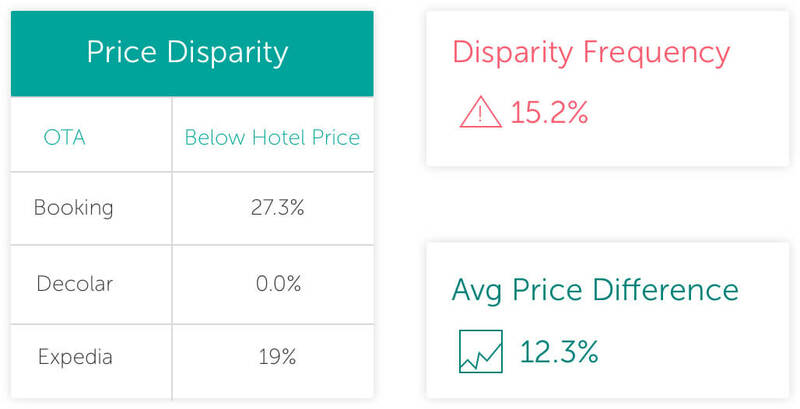 Ensure you are offering visitors the best possible rates by identifying the price disparities your guests are finding online, both on OTAs and metasearch engines. 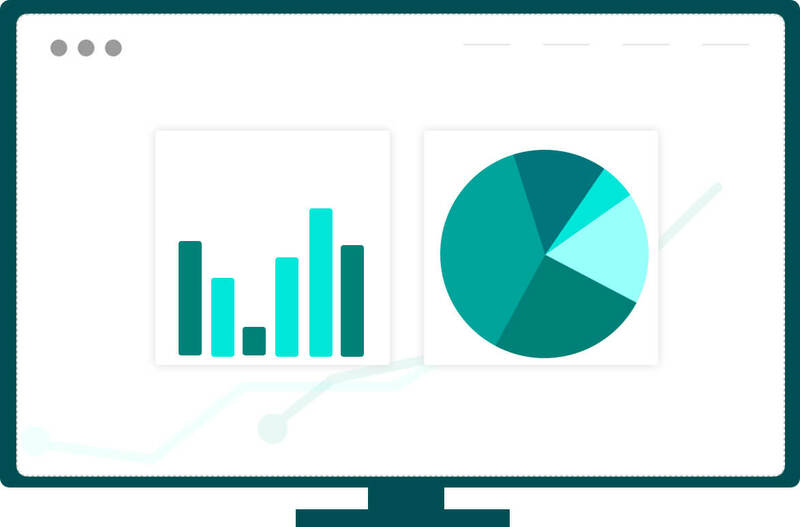 Our tool monitors disparities down to the exact user search query so you can make better informed revenue management decisions. And if someone is undercutting your rate, we let you show users a price match offer. We believe in experiments. 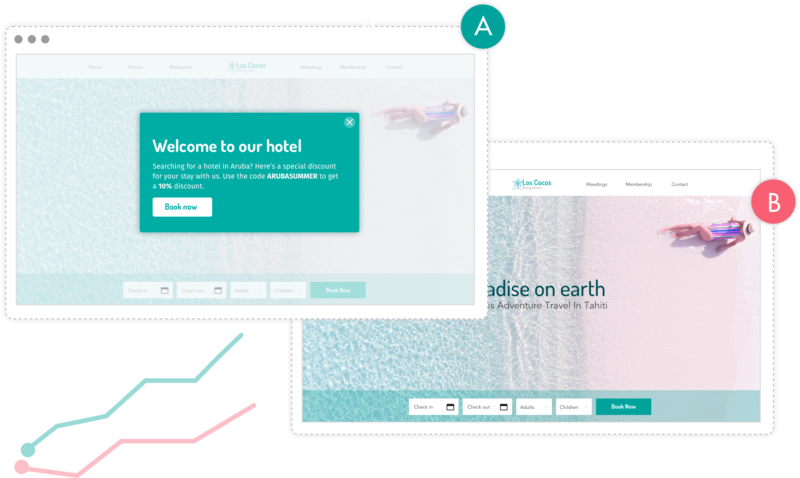 Our platform makes it easy for you to launch integrated campaigns with multiple messages and optimize performance using multivariate or A/B tests. 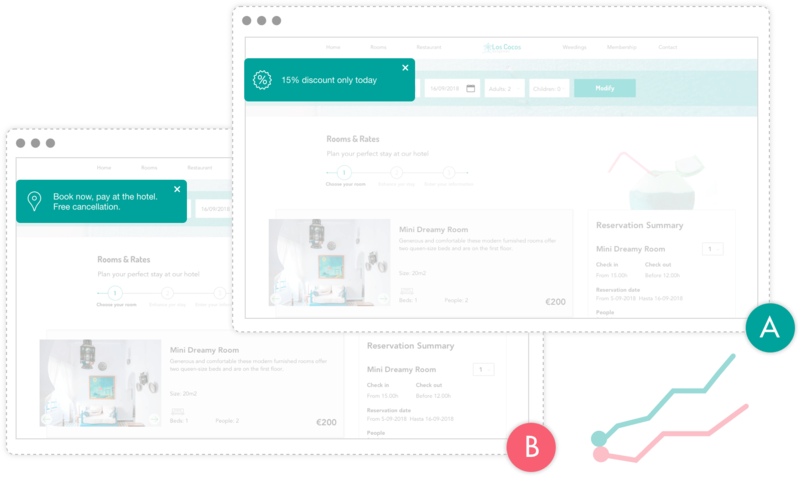 Build experiments in minutes and use the insights to make smarter decisions, taking the guess work out of marketing. Round, square, on the left, on the right… compare the results and roll out the designs that convert well. It’s amazing how the wording you use affects user behaviour. Try out different ideas to see what resonates most with your visitors. From a 5% discount to a late check-out, discover the optimal direct booking incentives to increase profitability at your hotel. Act with confidence and take immediate action where it will have the most impact based on our powerful analytics and real-time reporting. Your team can track all activity, measure the ROI of campaigns and see at a glance how your direct booking conversion rates are increasing. 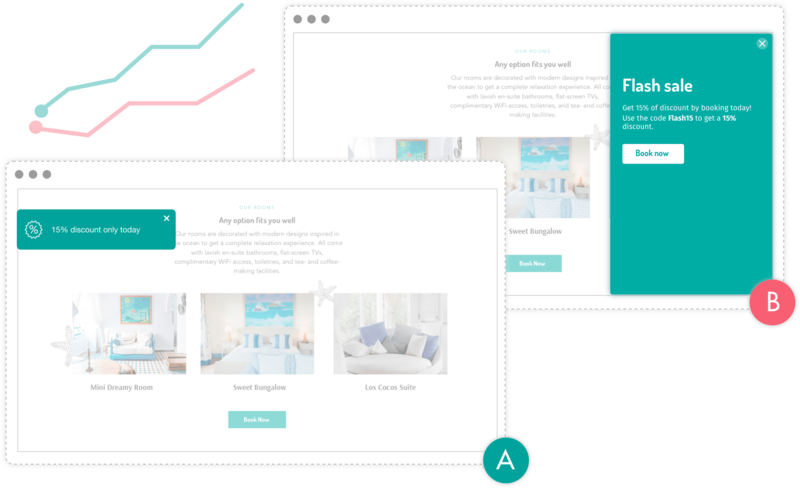 Analyzing the browsing patterns on your website to better understand user demand and intent is critical to making smarter revenue decisions. For added visibility, you can view all these insights by visitor country of origin. 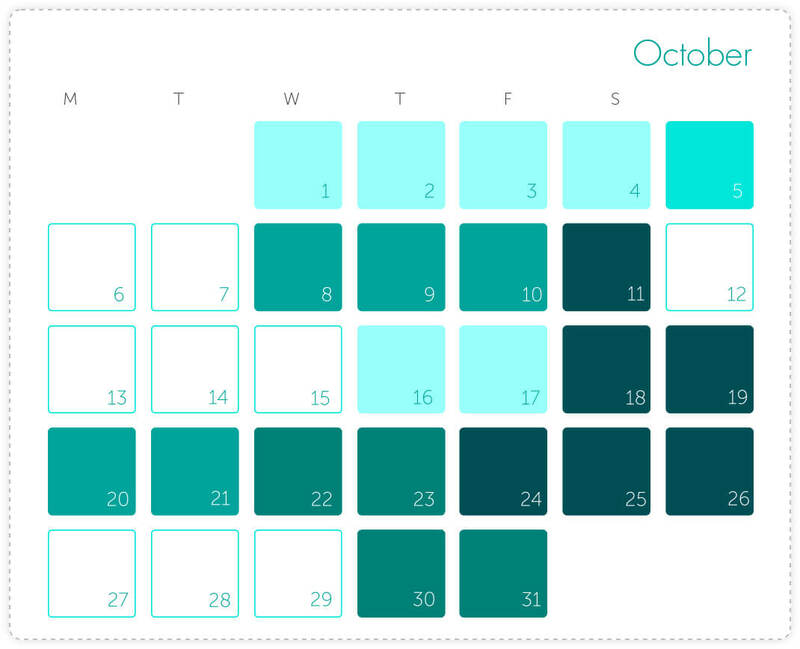 Based on past searches, see which dates in the future are in high or low demand and optimize pricing accordingly. You can even track ‘no availability’ results in your booking engine. With our nifty dashboard, you can see when visitors are searching for which dates so you know when and where to focus your marketing efforts.